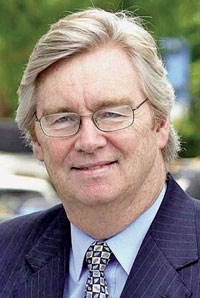 Nick Reilly, 61, will retire after 37 years with GM. GM attempted to sell off loss-making Opel but dropped that plan in 2009, backtracking on months of negotiations, and appointed Reilly to head the business, which lost $1.6 billion last year. "Nick Reilly has answered the call for GM at every turn," GM Chairman and CEO Dan Akerson said in a statement. "He returned to Europe and successfully led the turnaround of our operations there during one of the most tumultuous times in our company's history." Earlier this year, GM appointed Stracke to head Opel but kept on Reilly as head of the overall European business. Stracke was previously the vice president of GM Global Vehicle Engineering, based in Detroit.